Pool Builders, Design & Construction: Absolute Highest Quality Pool at the Lowest Price. See our Non Pushy Sales Approach! We Email You Your Proposal with a Video of Your New Pool in 3D! Save Thousands of $ - Avoid Heartache! Allstate Pools & Spas builds the absolute highest quality LA custom pools at the best price around. Allstate offers a lifetime warranty on the structure of your pool automatically- with no extra charge. They guarantee no leaking or cracking and a 3 year warranty on all equipment. When only the very best will do, call Allstate Pools & Spas at 818-962-0908, and let a pool expert answer your questions. 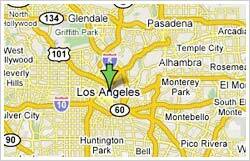 Allstate Pools & Spas is clearly the locals’ choice in LA for exceptional pool design service and installation. With new green technology you can forget about using chlorine in your pool as the Triden Chlorine-free Pool System is making waves with pool owners the world over. Whether you’re interested in a pool or spa, you can rest assured that Allstate pool builds the absolute highest quality of pools and spas around. Go online to allstatepools.com to learn more. Looking for an exceptional LA pool designer? Allstate Pools & Spas has a reputation for transforming yards into imaginative outdoor living spaces and has been in the business of building pools and spas for a long time. Their signature is a guarantee of quality craftsmanship. Your project begins with a no-cost consultation, and when work begins, they will personally oversee your project to completion. Call 818-962-0908 now. Allstate Pools & Spas specializes in LA pool construction. Their quality of work is consistent, correct and monitored by their strict demands as they strive for excellence and your satisfaction. Your friends and neighbors will be impressed with your personal signature design and Allstate’s quality installation. Allstate never competes to be the lowest price, but are always competing to be the best in quality and service. Call 818-962-0908 to learn more. Allstate Pools & Spas is an LA pool contractor that specializes in new luxury pools, spas, pool landscaping and waterfalls. Transforming yards into imaginative outdoor living spaces has been the business of Allstate Pools and Spas for many years. They often say: ‘If you can dream it, they can build it.’ Get started by calling 818-962-0908, and speak with a specialist who can answer all of your questions.